In Prague there are 5 major casinos. Most of them are Non-Stop Casinos. 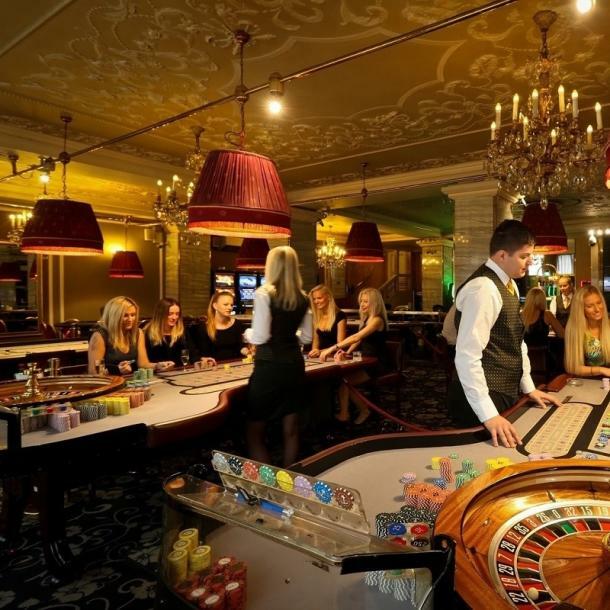 All of Prague casinos allow free entry. You need to provide an identity document (i. e. your passport). Free drinks will be available for every gambler, but alcoholic drinks may be free of chrage, only if you are seen to be a good customer (losing money). In hotel casinos, food will be available at restaurant hours.